21/06/2009 - First victory in this season for the ruling champion team Lucidi Motors in the Italian Formula 3 2009 championship. Sergio Campana has been the absolute ruler of the weekend at Mugello since free practice: he made his the pole position, the fastest lap of both races and race two victory; only a trivial error when leading race one during the second last lap separated him from the en-plain, but the final fifth place did not spoil the consistency of his performance. Into points in both races Francesco Prandi, author of a ninth and seventh place, and Giovanni Nava that concluded tenth and eighth under the chequered flag. "We ruled with Campana throughout the weekend apart from the fatal final kilometres of race one. The fastest lap in both races and the first victory of the season make the outcome of our weekend extremely positive while the battle for the leadership in classification is open and very battled. Prandi had a few problems with tyres that conditioned his performance; both Nava and himself finished anyway within points in both races." The classification now sees Campana in second position with 70 points, 8 points adrift. Prandi is eighth at 10 followed by Nava with 9. 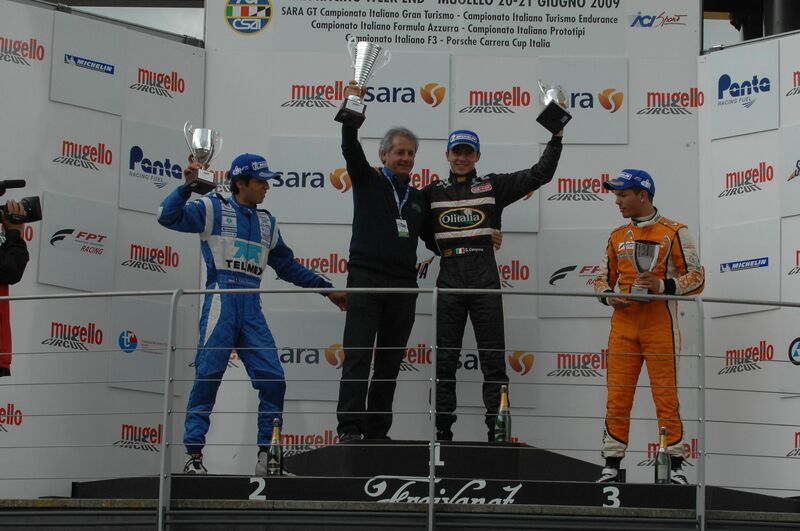 Next round of the Italian Formula 3 Championship is scheduled for next 19 July at Misano World Circuit.